This photo diagram is intended only to help understand the relative positions of the different routes. Not to provide detailed guidance to someone who wants to lead or climb a specific route. Photos of walls for climbing are tricky to understand, with different shadows and lighting as photographed from different angles and different times of day, different seasons of the year. 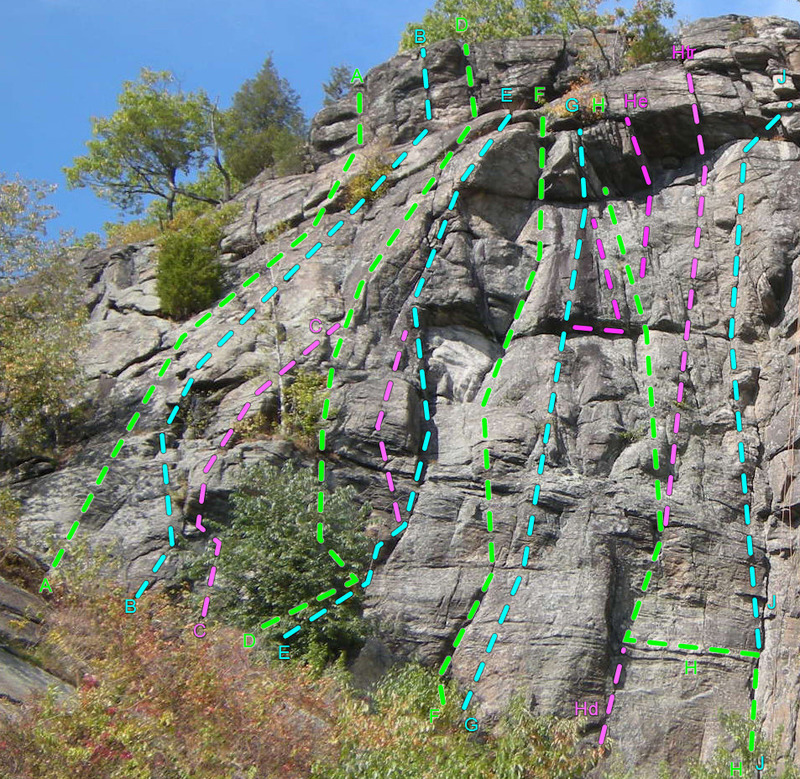 It's tricky to draw lines to touch rock features that are important for climbing -- because sometimes those features do not show clearly in the particular photo that was selected -- and because sometimes it's not clear from the route description what exactly is some key feature.